Each is filled with a different type of protein: beef, pork, lamb, and ground meat and sausage. He has to restock the machines constantly to keep up with demand. 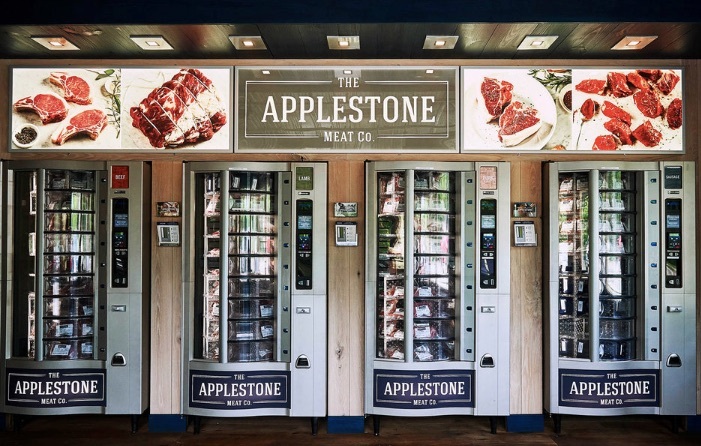 Later this year, Applestone is expanding to Hudson, where the store will have at least seven machines. By early next year the company will open in Scarsdale, where he’s planning for 10 machines, and later in 2019 he’ll open in Manhattan, with possibly even more.